Awesome Tutorial! Turn Your FAN Into An Airconditioner A/C! - Muscle Cars Zone! Awesome Tutorial! Turn Your FAN Into An Airconditioner A/C! 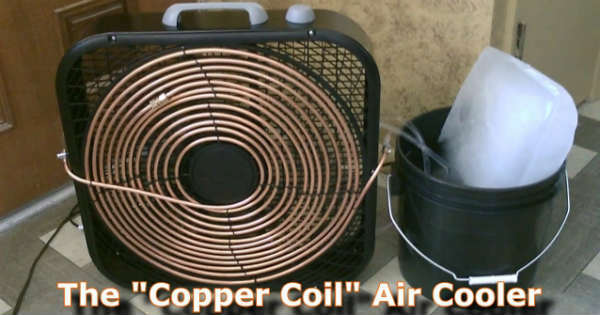 If you want to find a solution for the three-digit temperatures this summer, then you need to see this awesome tutorial on how to turn your FAN into an Airconditioner A/C! As you can see in the video below these guys has built a custom cooling unit out of a Fan or a evaporator and a little cooler unit full of ice which is mounted at the front of the fan. This device actually works as an actual air conditioner and will help to decrease the temperature in your room for sure. So, if you want to try it, then go to your nearest hardware store in order to buy the items you need to build your own air chiller. Also, please be sure to drink a lot of fluids to stay hydrated and in a good shape this summer. If you like the video please share it with your friends and family on Facebook and please share your thoughts about this handmade Airconditioner in the comment section below.